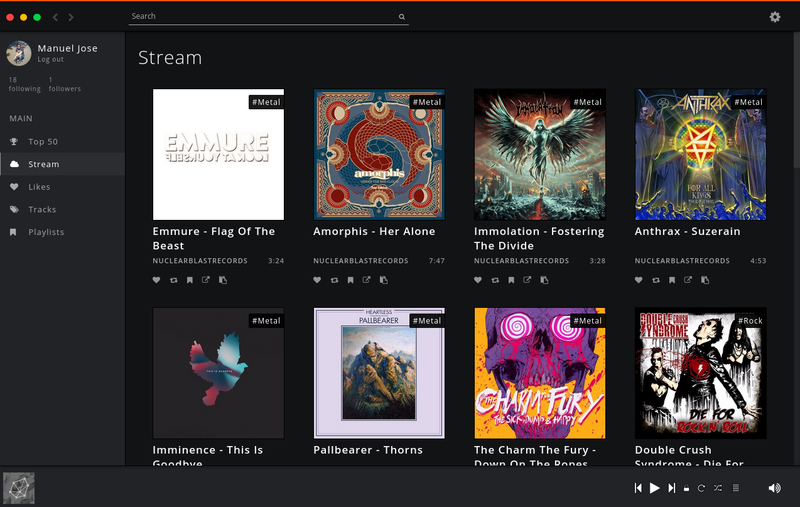 Soundnode is a pretty great Soundcloud client for Linux and Ubuntu. If you frequent soundcloud.com for your music needs, this stand alone app could be of real use. 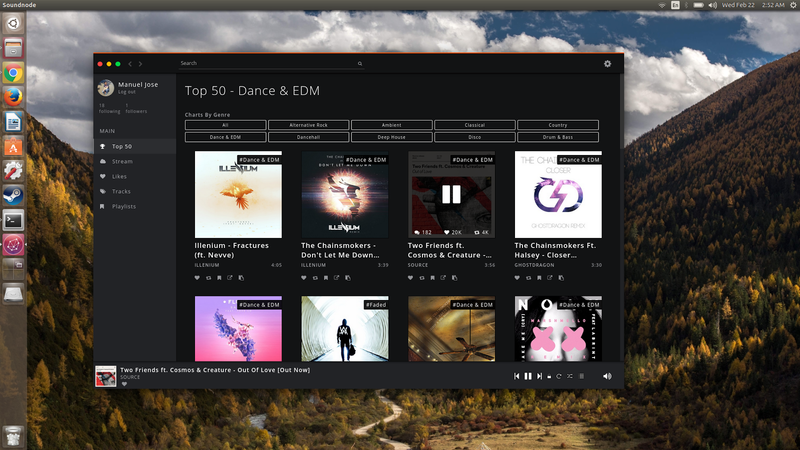 Another app you don't want to miss in the music genre is GPMDP aka Google Play Music Desktop Player, which is also open source like Soundnode. Both are cross-platform as well, different versions for Windows, OS X and Linux are available. Installing Soundnode in most Debian based distros is a straight forward affair. Just copy-paste the following in Terminal. Test machine was running the latest Ubuntu 16.10 "Yaketty Yak". Done. Hope the installation went smooth. More Linux download options on the app homepage. Thanks to an anonymous tip from a follower. Strangely enough, even though I have had zero issues installing the app and launching it afterwards, I'm having some trouble playing music, please let me know in the comments if you face similar sort of problems. Also fyi, unlike Soundcloud, Google Play Music is a subscription only service. EDIT: Apparently, there is an API limit, probably the source of my issues with playing music on Soundnode.